Churches were never supposed to die. There are no natural causes of church death. The local church is the body of Christ and Jesus is alive and His church should be as well! Churches don’t die, they’re killed. Church death is an inside job. There are a bunch of potential murder weapons. So why is it so important to work on revitalizing existing churches? God speaks to the nation of Israel and the religious leaders of their day in Malachi 1:8-11. 8 When you bring blind animals for sacrifice, is that not wrong? When you sacrifice crippled or diseased animals, is that not wrong? Try offering them to your governor! Would he be pleased with you? Would he accept you?” says the Lord Almighty…10 I am not pleased with you,” says the Lord Almighty, “and I will accept no offering from your hands. 11 My name will be great among the nations, from the rising to the setting of the sun. 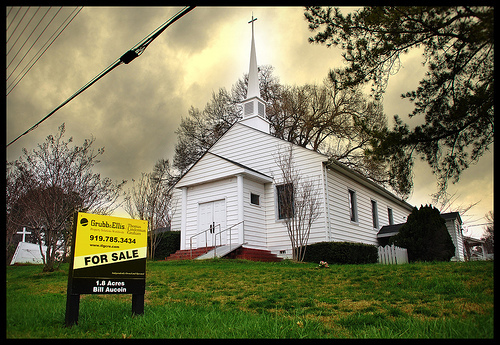 Do you know why church revitalization is so important in 2012? Because we carry the weight of the name and reputation of God to the world! We represent Jesus to the world. We are the embodiment of the place where God caused His name to dwell. Now, here’s the deal: when a church begins to plateau, stagnate or decline…for whatever reason: because of sin, division, a lack of concern for the people whom they were called to reach; God’s name takes a hit in the neighborhood. God’s name becomes a joke in the community. Every single person who has ever been a part of a local church should feel the responsibility of carrying the name of our great God. That should drive us to reform, renew, and revitalize our churches. I am so proud of The Church at Oak Level because they have truly made God’s name great again in West Orange County! And I believe that the best is yet to come!